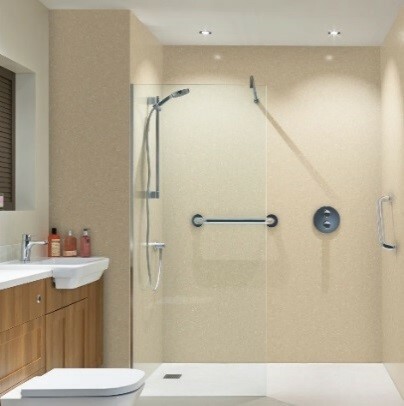 Bushboard Nuance Shower Wall Panels are available now on our site! 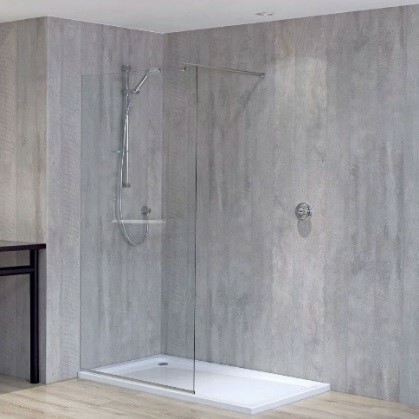 Complete your bathroom today with a brand new Nuance bathroom wall panel from one of our leading manufacturers, Bushboard. Nuance is an award-winning bathroom wall panel system, you can use these beautiful panels for your showers, wetrooms and around the bath areas. All panels are 100% waterproof to ensure peace of mind that all panels are reliable and stylish. 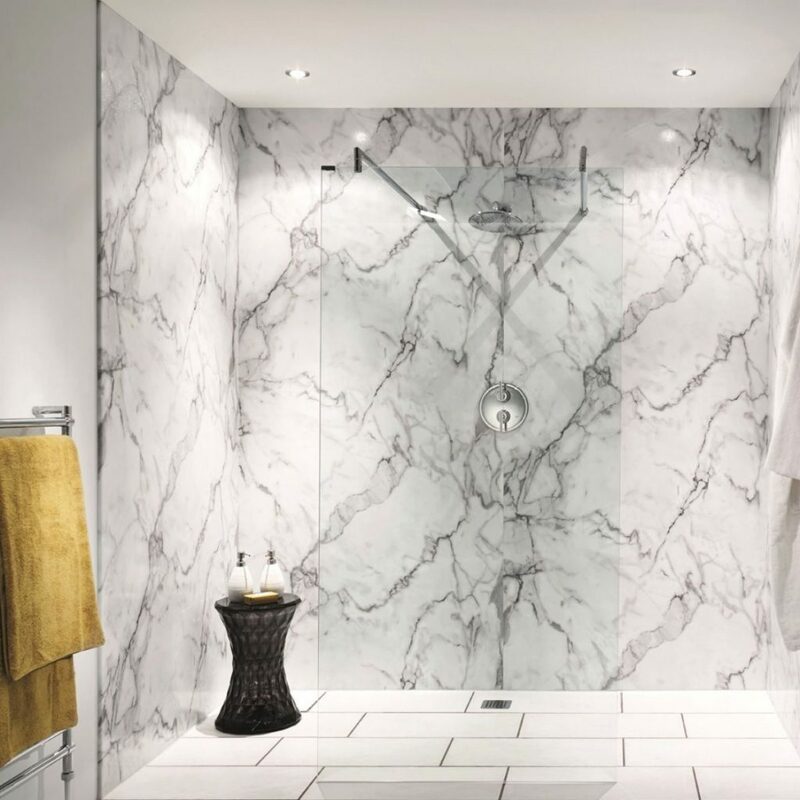 This Bushboard Nuance Recess Wall Panel is in the design of Classic marble, which is currently on trend. It provides a stylish and modern look to make your bathroom look and feel even more luxurious. The beauty of the design is not the only advantage – all wall panels are uncompromisingly high performance. This design is simple yet allows the bathroom to look more sophisticated and put together. The grey tone of the wall panel stands out and compliments the other bathroom solutions in the room. The wall panel is so simple in itself, easy to clean and maintain as well as quick and simple to install. All of their Shower Wall Panels come in different finishes. From a Glaze finish to a Gloss finish. This means there is no limitation in the design of your dream bathroom. All of the shower wall panels are also varied in size, therefore can be fitted no matter the size of your bathroom.